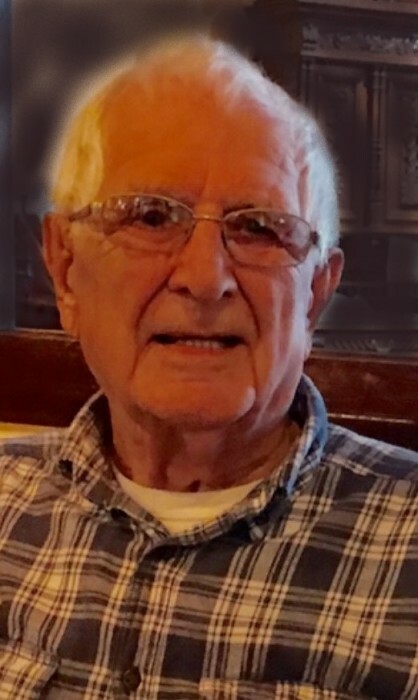 Robert Thomas "Bob" Riede, 90, of West Harrison, Indiana, passed away Friday March 15, 2019 in Cincinnati, Ohio. He was born July 4, 1928 in Cincinnati, OH, son of the late Theodore Riede and Ethel (Pritchard) Riede. He worked as a Machinist for Procter & Gamble, retiring after over 25 years of service. Bob was very patriotic. He was proud to serve his country in the United States Marine Corps. He also served many years on the Color Guard with the Aurora Korean War Veterans. He was a Boy Scout Leader in Cincinnati, OH and Manchester, IN. Two of his sons achieved the rank of Eagle Scout. Bob was a member of the National Muzzle Loaders Association. He loved to primitive camp at Friendship Indiana. Bob enjoyed fishing, and woodworking, he even made several wood chests for his family. He loved playing soccer, and he played well into his 50's. Bob enjoyed traveling, he especially liked the trips to Ireland and Alaska. Bob and his wife Mary, were foster parents for the State of Indiana and they fostered over 60 children. Bob was a family man and time with his family and his dog "Pickles" was important to him. He left a legacy of life, fun and laughter. He will be greatly missed. Robert is survived by his loving spouse of 46 years Mary Catherine Riede, nine children, Gwendolyn (Dan) Hardwick of Sunman, IN, Dale (Barbara) Riede of North College Hill, OH, Kurt Riede of Cincinnati, OH, Patrick (Terry Lynn) Riede of Lawrenceburg, IN, Penni (Ed) Fowls of West Harrison, IN, Amie (Stephen) Rogers of Lawrenceburg, IN, Lorie (Craig) Fennell of Long Beach, CA, Alex (Jennifer) Riede of Loveland, OH, Susannah (James) Cunningham of Greenwood, IN; Sister, Betty Courtney of Wichita, KS; 29 grandchildren, 15 great grandchildren, and 4 great great grandchildren. He was preceded in death by his father, Theodore Riede, mother, Ethel Riede, brother, Donald Riede, and 1st wife, Joan Gates- Fields. Friends will be received Saturday, March 23, 2019, 12:00 pm - 1:30 pm at the Rullman Hunger Funeral Home, 219 Mechanic Street, Aurora, Indiana. Celebration of Life will be held at the Funeral Home, Saturday at 1:30 pm. Interment will follow in the River View Cemetery, Aurora, IN . Military graveside services will be conducted by members of local Veterans Service Organizations. Contributions may be made to the KWVA, Boys Scouts of America, or PAWS. If unable to attend services, please call the funeral home office at (812) 926-1450 and we will notify the family of your donation with a card.